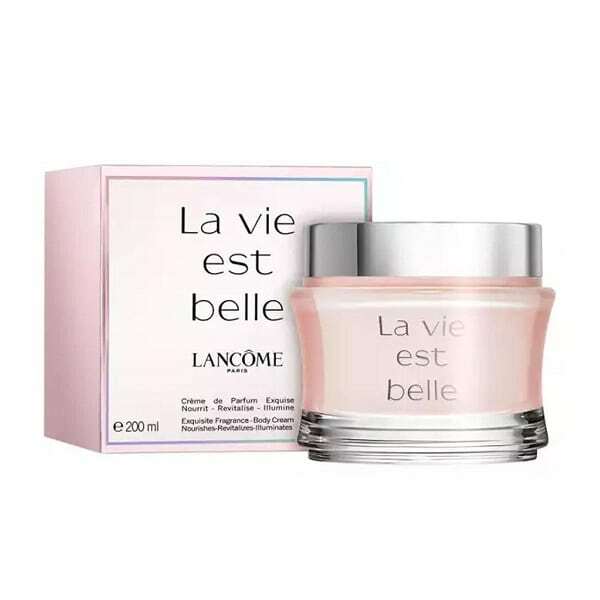 La Vie Est Belle Perfumed Body Cream by Lancome. 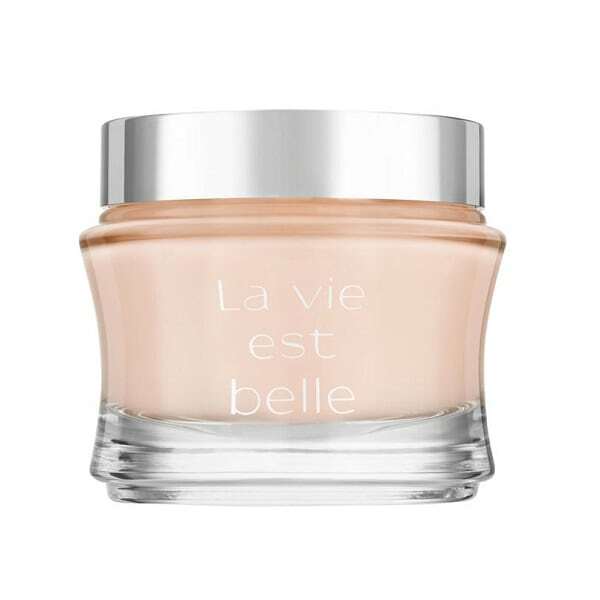 La Vie Est Belle is a sweet fruity feminine Body Cream with top notes of Blackcurrant and Pear. The heart notes are Iris, Jasmine and Orange Blossom with a base of Tonka bean, Vanilla, Praline and Patchouli notes. 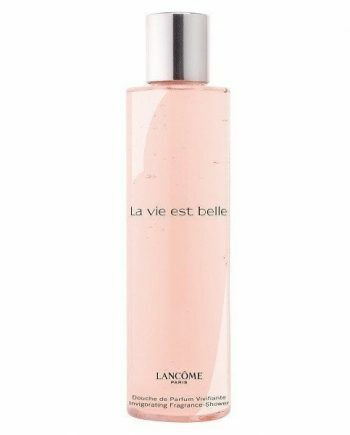 This scent is an ode to internal beauty and is inspired by the joy and pleasure in small things. The predominant note is Praline and the fragrance is very long lasting on the skin. Julia Roberts is the beautiful face behind the advertising campaign. Also available in the body product range, Body Lotion and Shower Gel. 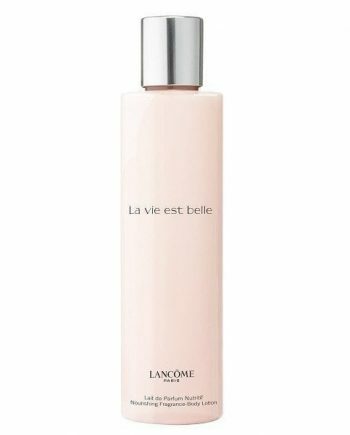 Use after shower gel and perfume to increase the longetivity of your scent and leave your skin silky smooth.